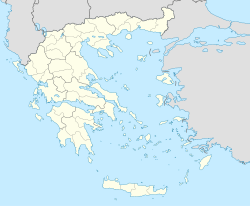 For other uses, see Athens (disambiguation). Athens is the capital city of Greece. It is one of the most famous cities in the world. The city is named after Athena, a goddess in Greek mythology. Athens has a population of approximately 4 million people and is growing. It is in the prefecture, or division of the country, of Attica. Athens was a powerful city in Classical times. It was known for the amount of learning that happened there. The city was home to Plato's Academy and Aristotle's Lyceum. It also had its own Constitution. Athens also created the world's first known democracy. The city started to decline in 529, when the Emperor Justinian I closed its philosophical schools. The Parthenon was made a Christian Church. That act saved it later from destruction of non Christian temples, in times of deep Theocracy. The Ottoman Turks took control of Athens in 1458. The Turks made the Parthenon into a Muslim mosque. The Parthenon was later damaged in 1687 when gunpowder exploded inside it. Athens was freed from the Turks during the Greek War of Independence (1821-1833). It was then made into the capital of Greece. 1896 - The Olympic Games took place in Athens. 2004 - The Olympic Games took place in Athens. ↑ PDF "(875 KB) 2001 Census" (in Greek). National Statistical Service of Greece (ΕΣΥΕ). www.statistics.gr. http://www.statistics.gr/gr_tables/S1101_SAP_1_TB_DC_01_03_Y.pdf PDF. Retrieved 2007-10-30. This page was last changed on 17 November 2014, at 01:41.